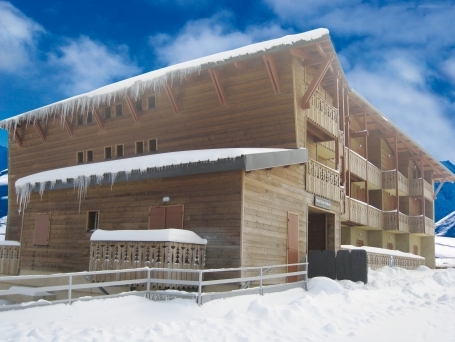 Les Chalets de l’Adet is a small residence at the foot of the ski slopes offering doorstep skiing as well as being located just 50-200m from all the restaurants, bars, shops and other resort amenities at the base of the slopes. 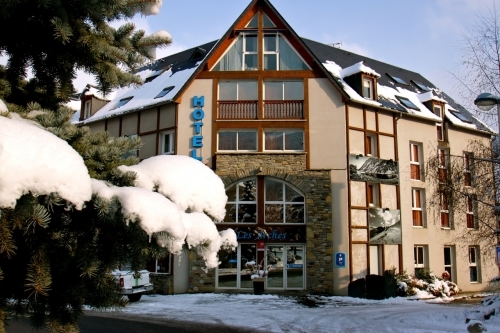 Les Chalets de l’Adet is located at the foot of the slopes in the Pla d’Adet sector of the Saint Lary ski resort above the village of Saint Lary. 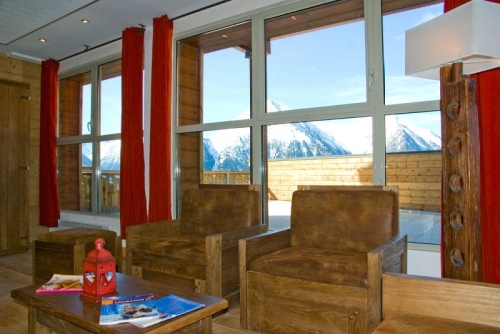 It has the best of both worlds when it comes to location; It is situated in a natural open space at the foot of the ski slopes offering and close access to the ski lifts and ski school. 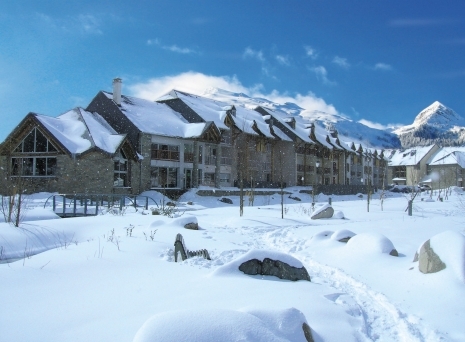 However, in addition, it is also just 100m from the small resort centre with its restaurants, bars shops and services. Furthermore the bustling village of Saint Lary is just a five minute ride away on the Pic Lumiere cable car which is open until 20:00 (daily during school holidays, Tues, Fri & sat only outside school holidays). 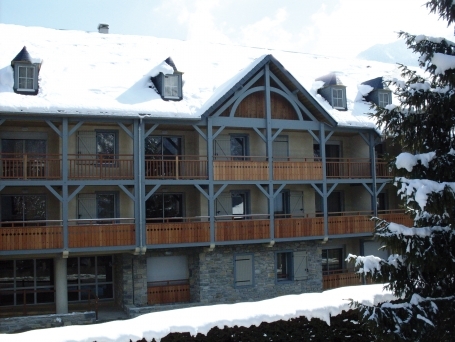 This ski residence is composed of just 44 self-catering apartments spread over 2 chalet buildings each with a lift. 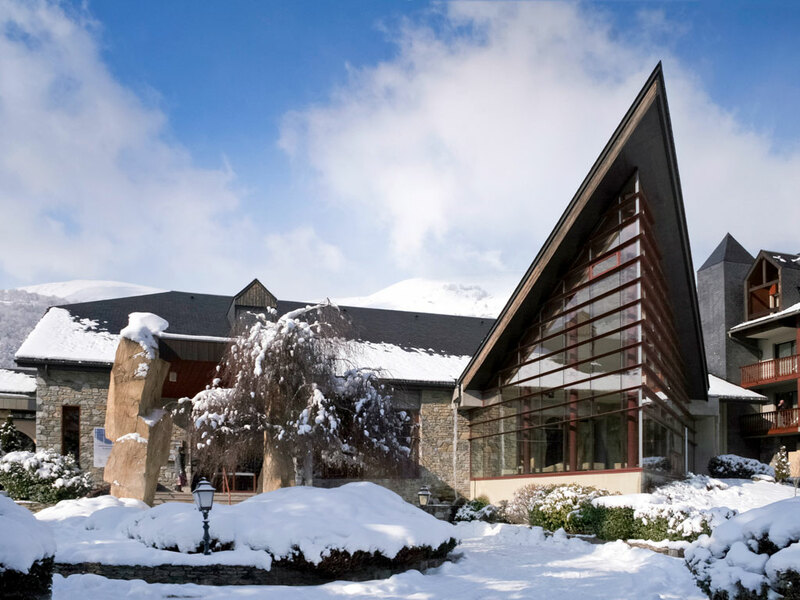 The two chalet buildings are both connected to an underground tunnel which allows to access to the swimming pool from inside. 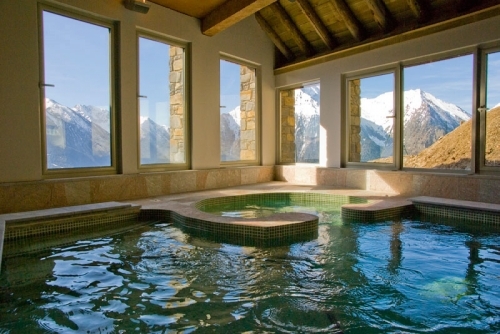 The residence is constructed in traditional Pyrenean style with the use of rustic stone, wood and slate. 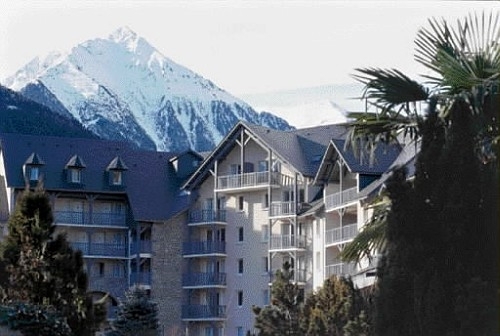 The views from the apartments are breath-taking and are either of the mountains and valley below or of the ski area and pistes. On a good day you can see for miles across the Pyrenees mountain range. 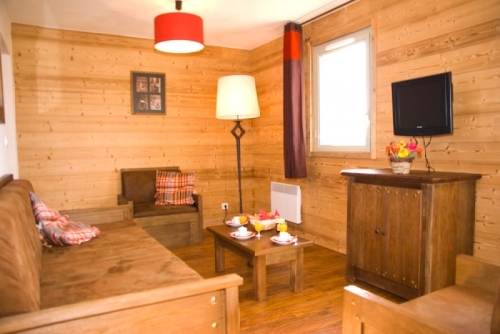 Les Chalets de l’Adet has a small on site relaxing area comprising an indoor heated pool (7m x 4m, open every day 10:00 – 19.00) with a Jacuzzi section which is free of charge and a sauna and steam room (1 free session/apartment/week then payable). 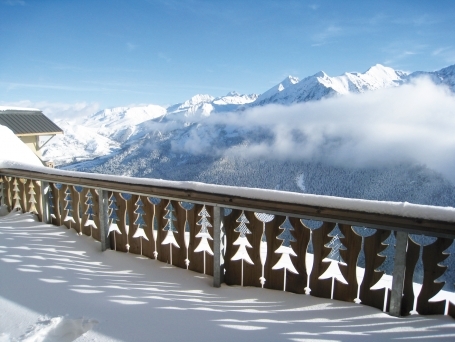 This area is great for spot of relaxation after a good day’s skiing on the nearby slopes. 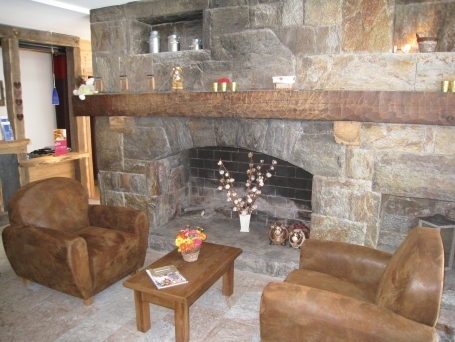 Otherwise the lounge area at the reception is small and cosy with a crackling fireplace during the winter months. 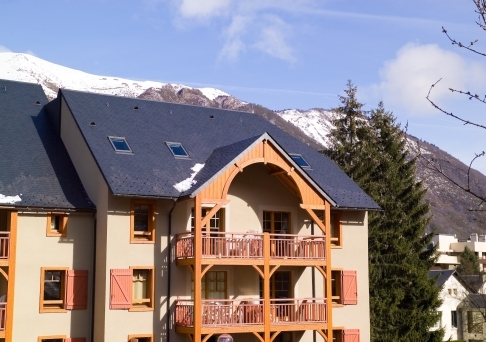 Facilities at Les Chalets de l’Adet also include one free outdoor parking spot per apartment, Wi-Fi internet access in apartments (payable), baby kits, and games can also be rented (see below, all subject to availability). 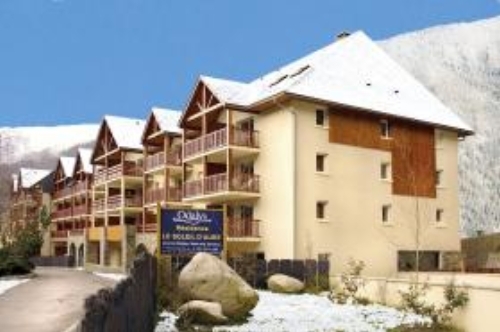 All the apartments at Les Chalets de l’Adet in Saint Lary are fitted and furnished to a high standard of comfort and convenience. The interiors are bright, fresh and modern with homely touches throughout. They all have a fully equipped kitchenette with oven, microwave, 2 ring ceramic hob, dishwasher and coffee-maker. All apartments have a balcony. Studio Apartment sleeping 2 (ca. 24m2): Open plan living/dining area with a sofa bed (converts to 2 single beds), bathroom and WC. 1 Bedroom Apartment sleeping 4 (ca. 28 - 34m2): Open plan living/dining area with a sofa bed (converts to 2 single beds), 1 double bedroom, bathroom and WC. 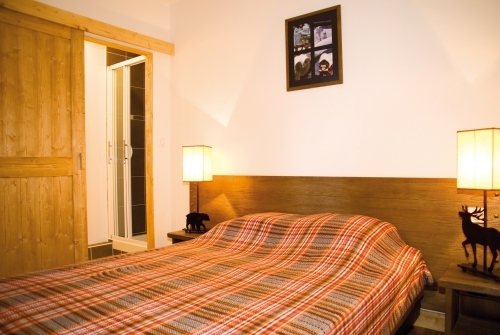 1 Bedroom Alcove Apartment sleeping 6 (ca. 36 - 40m2): Open plan living/dining area with a sofa bed (converts to 2 single beds), 1 double bedroom, alcove with bunk beds, bathroom and WC. 2 Bedroom Apartment sleeping 6 (ca. 52 - 57m2): Open plan living/dining area with sofa bed (converts to 2 singles beds), 1 double bedroom and 1 bedroom sleeping 2 or bunk beds, bathroom and WC. 2 Bedroom Alcove Apartment sleeping 8 (ca. 70m2): Open plan living/dining area with sofa bed (converts to 2 singles beds), 1 double bedroom, 1 twin bedroom and an alcove with bunk beds, bathroom and WC and extra shower room. Please note: Alcoves are usually not enclosed, have bunk beds and no window. 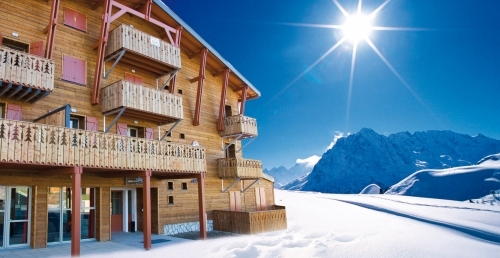 For any apartments at Les Chalets de l’Adet that feature bunk beds, sleeping in the top bunk is not recommended for children under the age of 6 years old. 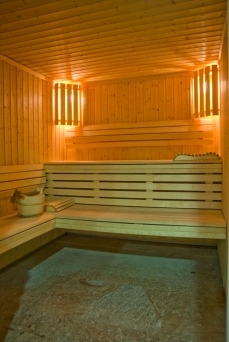 Fully equipped apartment with bed linen and towels included (change payable), TV, free access to the indoor heated pool with Jacuzzi section (open daily from 10:00 -19:00), sauna and steam room (1 free session/apartment/week then payable), 1 free outdoor parking place per apartment, ski locker. 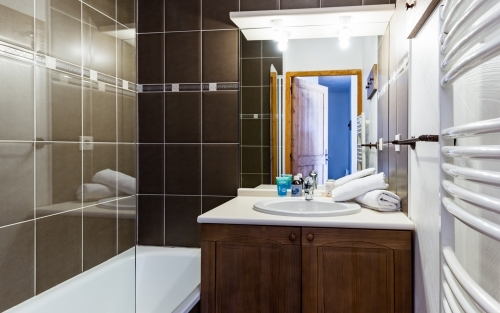 Beds made on arrival & end of stay cleaning: (kitchen area & dishes exempt): £42/2-4 people; £56/6 people; £68/8 people. Hire of raclette set €6. 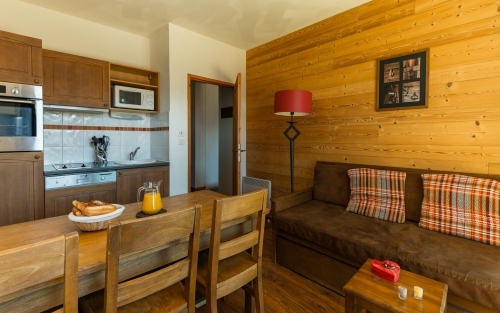 Wi-Fi internet access in apartment: €25/week/ 3 devices (payable on site by credit card only). 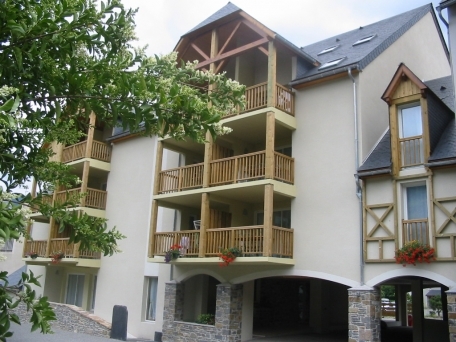 Pets are allowed and will be charged €44/week (payable locally). A valid passport for your pet is compulsory.